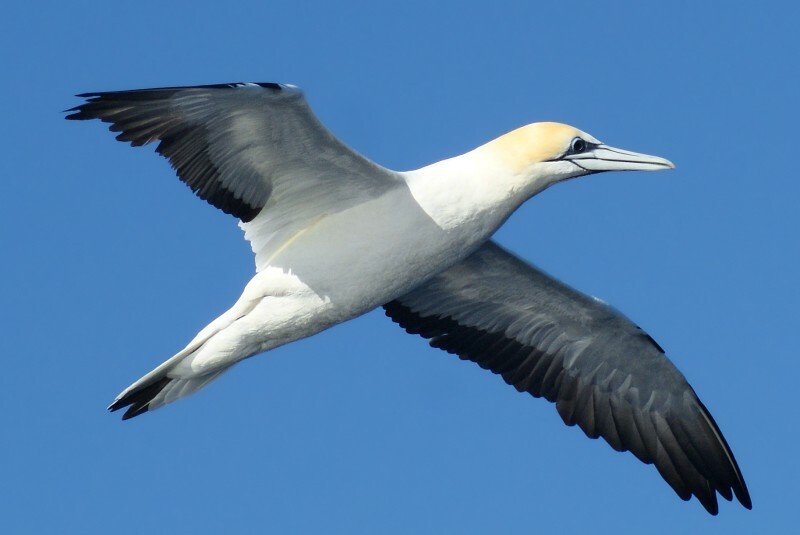 This is one of two gannet species that occurs in Australian waters (the other being the very much rarer Cape Gannet). 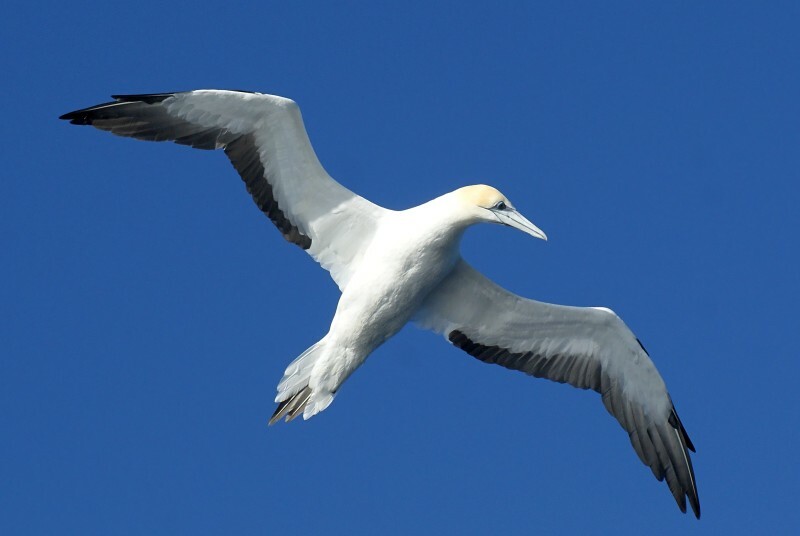 As with the other two species of gannet (Northern being the third), they look for fish from a height and on spying some, they dive at great speed into the water. They survive the shock of hitting the water at up to 100 kmh because of air pockets under the skin on the face and breast which cusion the blow. 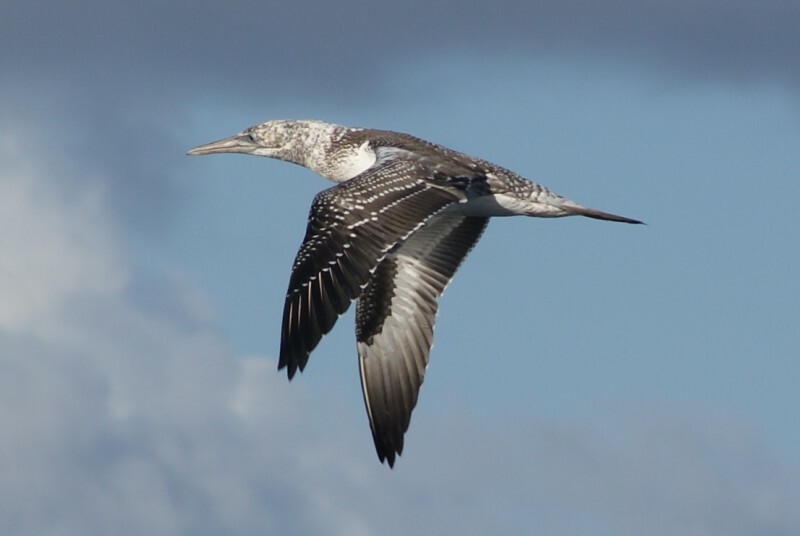 They are quite large at 85-90 cm in length and a 170-190 cm wingspan. The first two are adults and the third is a juvenile. 1-2: Tasman Sea, off Wollongong, NSW, 23/06/2012. 3: Tasman Sea, off Sydney, NSW, 13/03/2010.